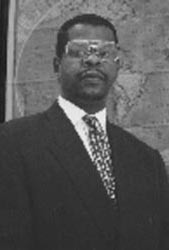 Dwight Bradford is currently the Director of Alcohol Substance Abuse Treatment (ASAT) Programs for the New York State Department of Correctional Services in Albany. Bradford brings years of experience and insight to this position. After serving in the military during the Vietnam era, he returned home home to begin another battle, this time fighting alcohol and drug addiction in the inner-cities of upstate New York. He is credited with setting up the first Adult Children of Alcoholism Treatment Program in Rochester NY. When Bradford took a position with the New York Department of Corrections in 1988, his first assignment was Albion Correctional Facility where he developed a highly successful community Work Release Treatment Program for female inmates. His research, which focused on patterns of relapse in females, lead him to develop a unique Relapse Program for female inmates.